For many individuals, the thought of bankruptcy can feel like failure. However, it is just the opposite, providing those drowning in multiple forms of debt with a “fresh start” in life. This means no more harassing calls from creditors, saving your home from foreclosure, and eliminating debt from medical bills, credit cards, mortgages, and car loans. While there are multiple different types of bankruptcies that provide different solutions under specific requirements, the two most common forms include Chapter 7 and Chapter 13. 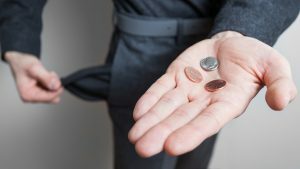 In Chapter 7 bankruptcy, the individual does not have the income to satisfy all debt, thus, it is wiped away after meeting certain requirements. In Chapter 13 bankruptcy, the individual does have sufficient income, but they will be set up with a payment plan that will pay off their debt over time. Keep in mind that while the bankruptcy process may seem simple, the legal aspects involved can become overwhelmingly complicated. Be sure to speak with an experienced bankruptcy attorney to assess your situation and help you make the best decision for your final future. Berry Tucker & Associates, Ltd. is available at (708)425-9530 in the Palos Hills, IL area to assist those who are considering filing. Our bankruptcy attorneys have over 50 years of combined legal experience and will guide you through the legal process if filing is the best option for you. While there are a variety of reasons for not being to pay bills, it is important to remember that you have options. Whether you have been severely injured, sick, lost your job, or were not able to find work, never hesitate to ask for help. The sooner you contact a bankruptcy lawyer, the sooner you can get the debt off your shoulders. Keeping Personal Property: While Chapter 7 bankruptcy does have requirements, selling your personal property, such as your house, vehicle, retirement plan, and even cash, is not one of them. Our bankruptcy attorneys will help you fight for what belongs to you. Eliminate Credit Card Debt: When checking your voicemail, it can be stressful to listen to countless messages from harassing creditors. Unfortunately, simply asking them to stop calling won’t make the situation any better. But an experienced bankruptcy attorney will help you wipe this debt clean by speaking to and disallowing these debt collectors from calling you again. Preventing Foreclosure: You should never have to worry about losing your home as a result of an inability to pay your mortgage. Filing for Chapter 7 bankruptcy can help you avoid foreclosure judgments as our bankruptcy lawyers at Berry K. Tucker & Associates, Ltd. will speak to your bank directly and negotiate a lower monthly payment. Eliminate Medical Debt: Whether you were severely injured while shopping or in your own home, medical bills can add up quickly after surgeries, x-rays, tests, etc. In addition, being out of work for an extended period of time can put an indefinite halt on your income. Our bankruptcy attorneys completely understand that this is no fault of yours, and will help you through this stressful situation to be rid of these overbearing medical bills. Car Repossession: While it can certainly be easy and exciting to buy a new car, the inability to pay the loan is another story. Whether you have lost your job, are unable to find work, or suffered an injury, the calls from debt collectors will continue to threaten repossession until all payments are made in full. However, when speaking to a bankruptcy attorney, they will contact the creditor and negotiate a lower monthly payment to stop these harassing calls and save your car. In any situation that you do not have sufficient income to satisfy your debts, do not hesitate to call Berry K. Tucker & Associates, Ltd. at (708)425-9530 in the Palos Hills, IL area to speak with a professional bankruptcy attorney. 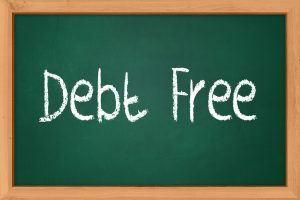 While you may have a sufficient income to satisfy debt, paying off the amount owed can feel like forever. But you should never let these debts keep you up at night as you wonder how you can ever get rid of this heavy burden. Thankfully, speaking with a bankruptcy lawyer about Chapter 13 bankruptcy can help solve your problem. When filing, Chapter 13 allows you to repay a portion of this debt over a 3 – 5-year period through an installment plan. It is particularly helpful for families that are struggling to pay their mortgage and continue to fall behind. In addition, all debt that includes credit card and medical bills is either reduced or removed completely. Berry K. Tucker & Associates Ltd. will help you decide if this is the best solution for you and will negotiate the most effective payment plan possible to help you climb out of this financial hole. No matter which type of bankruptcy you choose, it is extremely important to proceed with the help and guidance of an experienced bankruptcy lawyer. When contacted early in the process, Berry K. Tucker & Associates, Ltd. will establish a partnership with you that is based on trust, handling the legal aspects and ensuring a proper recovery from your debts. Ultimately, our attorneys are committed to your peace of mind when it comes to relieving as much debt and stress for you as possible. Contact Berry K. Tucker & Associates, Ltd. at (708)425-9530 if you live in the Palos Hills, IL area to speak with an experienced bankruptcy lawyer.